There’s a first-time for everything. Like hosting Thanksgiving dinner. Congratulations! Not only have you become a proud, first-time homeowner, you’ve volunteered to host your very first Thanksgiving for family and friends. That’s exciting and probably a little terrifying, too, but don’t worry, you got this. 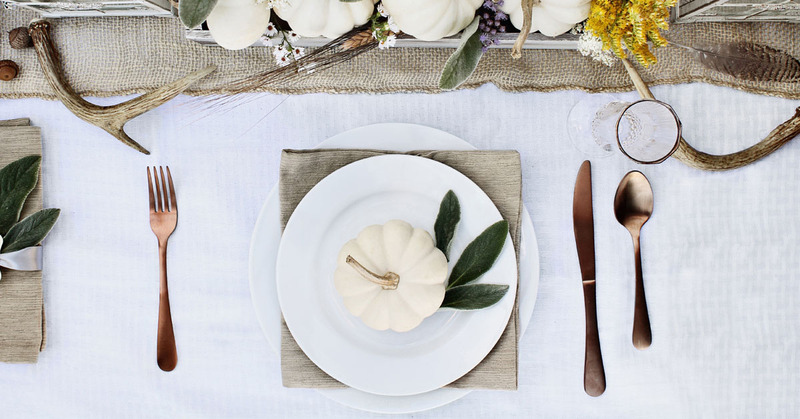 Take a deep breath and spend a few minutes reading our handy tips, because even though Thanksgiving is less than a week away, there’s plenty of time to pull it all together. And remember, if Pilgrims and Native Americans could make the first Thanksgiving dinner in 1621 with little more than an open flame and some venison, lobster and squash, you can certainly do it. If you ask any professional chef what he or she has learned about cooking Thanksgiving dinner over the years, they pretty much agree on one thing: keep it simple. Geoffrey Zakarian, celebrated American chef and a regular on the Food Network, agrees wholeheartedly with De Laurentis. 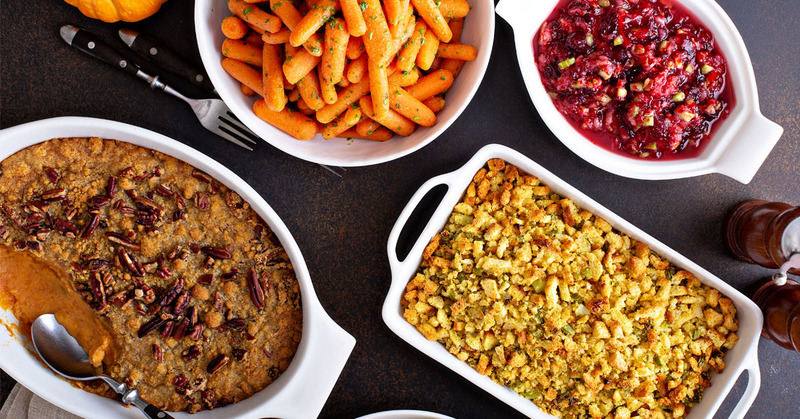 “I always tell people, ‘If it’s your first Thanksgiving, host a potluck.’” Potlucks are awesome, fairly stress-free and, believe it or not, guests love contributing. Since you graciously volunteered to host dinner, you should take charge of making the turkey, stuffing, potatoes and gravy, and delegate the rest. In fact, make specific assignments so that you don’t end up with four bags of dinner rolls or three kale salads. Ask someone to bring the pies from your favorite bakery. Reach out and ask another guest to make Brussels Sprouts or fresh Cranberry Sauce. (Feel free to provide the recipe, too). If you’d like a sparkling holiday cocktail, that’s an easy and fun assignment for someone who doesn’t necessarily know how to cook. “Don’t be too ambitious. Cook what you know first, and only make a few things.” says Chef and Sandwich King Jeff Mauro. Don’t experiment. Especially with that Green Bean Casserole. There are some things you just don’t mess with. And since Thanksgiving comes only once a year, everyone wants what’s tried and true. This is not a time to experiment with a hip new twist on mashed potatoes, such as Fried Mash Potato Balls. 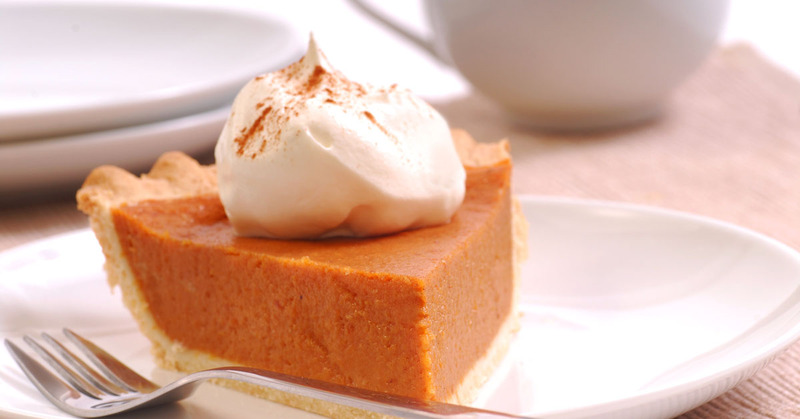 Or let a friend bring a Chocolate Pumpkin Spice Peanut Butter Pie instead of the classic all-American Pumpkin Pie. And that Green Bean Casserole with the unhealthy deep-fried crunchy onions on top? Don’t even think about slimming it down with regular milk or deconstructing it to make it modern. It’s one day of the year, so embrace the recipes, the calories, and the dishes everyone loves. 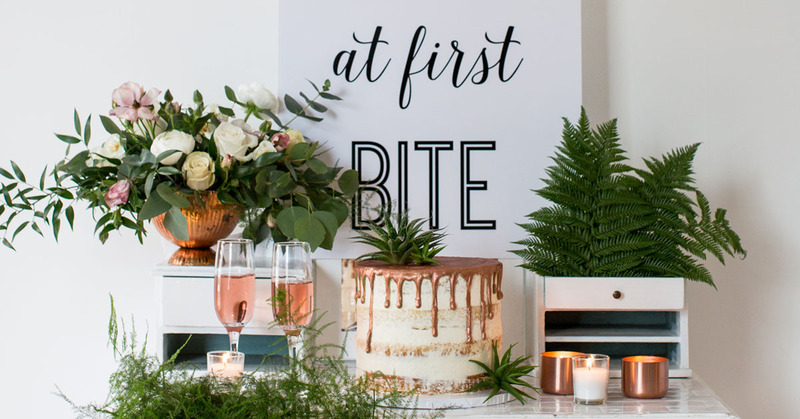 An important side note here: if any of your guests are gluten- or dairy-intolerant, vegan, or have food allergies, you should be aware of it ahead of time and plan on accommodating them. Any kids coming? If so, you’ll need to have a kid-friendly option or two. Speaking of kids, how are you going to keep them entertained? You may want to have some movies, games or coloring books on hand to keep them occupied. It is a long day, after all. Make a shopping list and then make a pilgrimage to the market. The more time you give yourself to plan, the less stressed you’ll be. 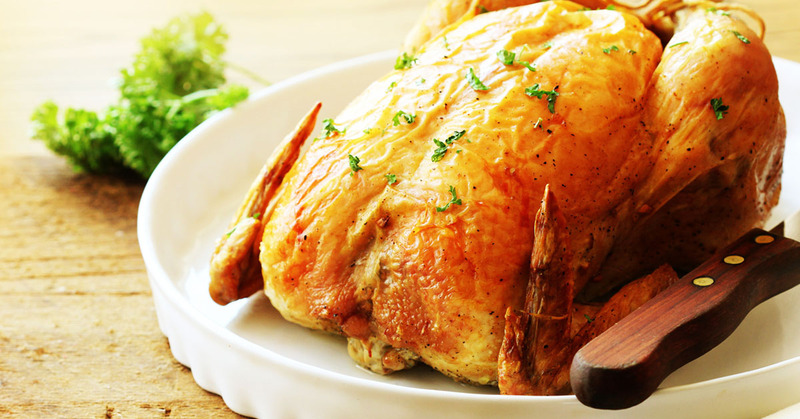 First things first: order your turkey, ham, or whatever your main meat focus is, today. (If you’re getting a frozen turkey, there’s less urgency.) And now that you’ve got your recipes figured out, create a shopping list and pick everything up in the next few days. Perishable items like fresh herbs, onions, celery, potatoes, bread or cornbread for stuffing will be fine if kept in a cool place. And don’t forget to make a checklist that includes all the non-perishable items you’ll need like dried spices, heavy cream, butter, coffee, tea, soda, flour, sugar. Create your bar list, too. Create a prep list. And a timeline. After your shopping is complete, preparation is next. Figure out what you can do ahead of time. Depending on what you’re cooking, you’ll discover you can do quite a lot in advance—roast some nuts, make Cornbread for stuffing, chop vegetables, make turkey stock. 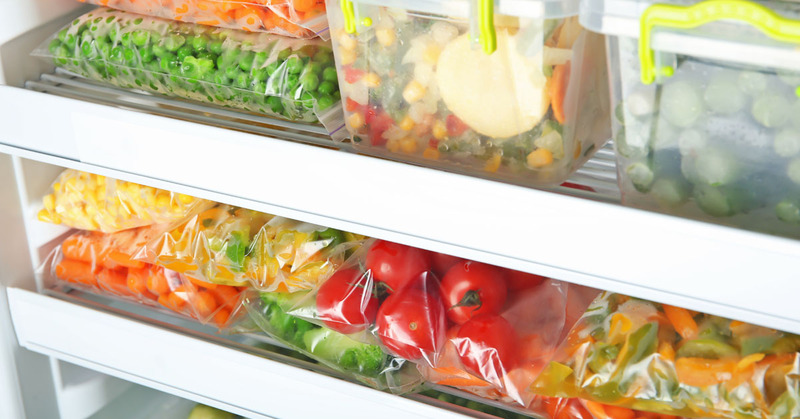 Once you’ve completed your prep work, label your containers and put them in the refrigerator, pantry, or your garage so you’re ready to go on Thursday. Next, make a timeline. On Thanksgiving Day, the importance of a timeline can’t be overstated. For instance, turkey in at 1 pm. Stuffing in at 3:30. Make potatoes at 4:00. Set appetizers out at 4:45 pm. A written timeline may seem a little silly, but it’s critical in making sure you stay organized and serve dinner on time. You don’t want guests to show up expecting to eat at 5:30 and then not have dinner on the table until 7:30. From roasting, to pastry, to sauces, to saute, professional kitchens have stations for everything so they run like well-oiled machines. While you probably don’t have the luxury of that much space, you can set up an area specifically for dessert and coffee, an area for salad or side dish assembly, or a station for carving so that helpers can work without getting in each other’s way. And don’t forget to establish an area for the bar, so guests can help themselves. If you don’t have ample room in the kitchen, how about a side table in the living room or den with appetizers, glasses, ice, mixers, chilled wine, spirits? Since most guests love to mingle around the bar anyway, they’ll be out of the kitchen. While we’re on the subject of alcohol, keep a watchful eye on anyone who might be a tad tipsy. It’s easy for guests to get there on an empty stomach, so just make sure you’ve got plenty of sparkling or still water available for them to sip on in between drinks. Have some mocktails ready, too, for kids and others who don’t drink alcohol. Set your table ahead. Way ahead. This is one of the best stress-relieving tips around because you can set your table(s) a week ahead or two days ahead. Take inventory and make sure you have enough plates, napkins, glasses and silverware for appetizers, dinner and dessert. If you don’t, borrow some from a friend or mix and match what you have—eclectic is really popular right now. Fresh flowers are nice on a table, but if you’re on a budget as lots of first-time homeowners are, dollar stores always have inexpensive centerpieces and votive candles. They also carry disposable plates, silverware, napkins and glasses if you want to go that route. It’s also a good time to set out serving bowls and utensils and label which bowl is for what dish. Will you need place cards or are you going to let your guests freestyle it? You’ll want to consider that when you set the table, too. While you’re at it, stock your powder room with holiday-themed paper guest towels, votives, hand soap, extra tissue and anything else you can think of. A Thanksgiving dinner without music? No way! Thanksgiving is the official kick-off to the holiday season and everyone’s feeling festive, so put a playlist together with a mix of classic and current music. And, let’s face it, who doesn’t have a holiday album out these days? From Hip Hop and R&B artists, to country, to crooners such as Frank Sinatra or Ella Fitzgerald, to all-time favorites like “A Charlie Brown Christmas,” and soundtracks from movies that aren’t too cringe-worthy like “Love, Actually,” you can easily create a playlist everyone will love. Your first Thanksgiving. But certainly not your last. One thing to keep in mind: things may go wrong. The rolls may get burnt. Someone may drip gravy on your tablecloth. Or break a wine glass. While this holiday is definitely about the food, it’s about so much more. It’s giving thanks for family and friends, for health and happiness, and for what you have. It’s about being surrounded by loved ones and being loved. Now that you’re in your very own home, it’s also about creating your own magical and unique Thanksgiving tradition and then building on it for years to come. Let’s not forget Thanksgiving is also about the leftovers. Like having that slice of leftover pumpkin pie and a hot cup of coffee for breakfast the next morning. Or enjoying a hot turkey sandwich with leftover mashed potatoes and gravy for lunch. Yes, even leftovers are worthy of giving thanks for.